Currently FULL. Email friends@thepineneedlequiltshop.com to be added to the wait list. 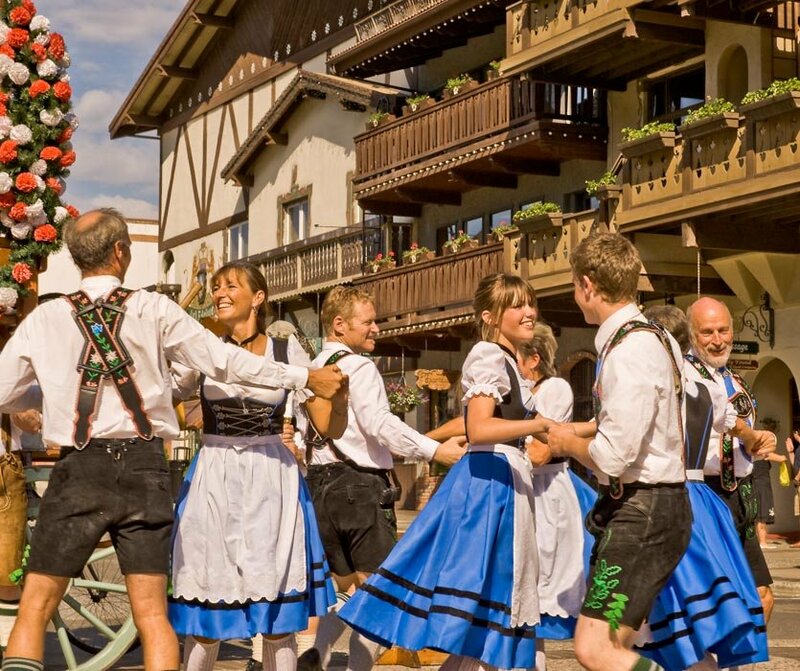 We are so excited to visit a new location for us in the Swiss Alps of the Pacific Northwest ... Leavenworth, WA. With beautiful vistas and a town rich in Bavarian history, we think Leavenworth in the fall will be a week to remember. We are sure to have a wonderful time creating quilts, exploring the area and making new (or renewing) friendships inspired by a panoply of colorful leaves and a feeling of Oktoberfest in the air. Between wine tasting, local quilt shop adventures, a winery within walking distance and visits to a well stocked farmers market, Leavenworth promises to be a perfect setting. The largest antiques store in the northwest is just 15 minutes away so of course we'll have an outing there. Sign up early as our retreats fill quickly. To make it easy to budget, we offer an installment plan, at no extra charge, that begins January 2019 and ends in June 2019. The cost is $789 and includes meals, hiking trails, pool tables, local outings, professional quilting instructions, games and of course the week-long class. We will have a planning meeting in July with all lucky participating quilters to talk about travel plans and all the details. For more information, feel free to email friends@thepineneedlequiltshop.com or talk with Geri at 503-635-1353.